This is 100% pure speculation from a guy who recently played all of Dead Space 1-3 recently. Got 1 & 2 free via XBox Live a while ago, paid for 3 because I loved the two. This is an awesome franchise I don't want to see dead forever. I feel like 3 got a bad rep online but is still good, and who knows now some of Visceral is working for Respawn. A VR Dead Space would be awesome if the setting was more like 1 with you wandering cramped corridors with a sprinkle of the openness of 3s flotilla section where you explore derelict ships in the order you wish. **** I love this franchise and hate to see no update on the future. Not normally a horror fan but it reminds me a lot of Alien, my favorite horror movie series (1 & 2, forget 3, never watched 4, Prometheus and Covenant were okay but shadows of greatness). Dead Space is one of those games that's like Gears of War for me - I wanted to get into it, but the third person view threw me off too much. Those Visceral employees are probably working on Star Wars in my opinion. Due to sushi-gate I think Respawn's VR game is a WW2 game, possibly Medal of Honour. Check out a video of Dead Space Extraction to see what VR/first person Dead Space would look like. It was a PS Move/Wii game which is obviously similar to VR. The Dead Space third person view and FOV are supposed to throw you off. Making you uncomfortable can be more complex than just art, lighting and audio. 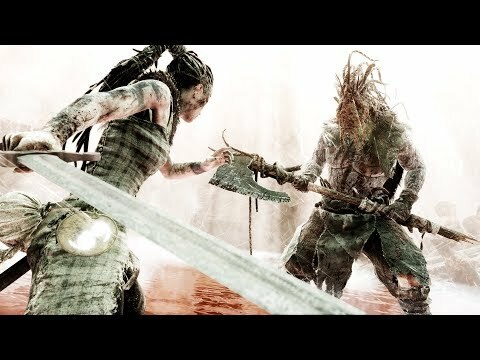 Hellblade Senua's Sacrifice is another example of the FOV being too tight on a third person camera. We're not working on a Dead Space game but a VR version of it would be pretty rad. Personally I'd love to see the franchise come back too but it won't be from us. As far as Respawn goes - I just hope for another Titanfall. VR gives me nausea, and I have yet to see a Star Wars game that truly captured the franchise for me. @cosmicturtle333 - it's more than just that, I don't like the third person view like that. It's not immersive to me. I keep trying for it - and the first Dead Space was one of those times, and so was Gears of War. I'm just at a point I'm not going to keep throwing good money after bad. Dead Space would be a perfect game for VR. Has anyone played Resident Evil 7 in VR? I have to say, it was one of the most intense experiences I’ve ever had. I can only imagine something like that part in Dead Space 2 with the needle coming straight for your eye in VR! HAH - I never thought about RE in VR - I think that would be awesome! Got me wanting to get a VR rig now. I think anything in the horror genre would be awesome in VR. Would have been rad if it was in the works, just 100% wishful speculation in the first place lol. I get why 3rd person isn't everyone's cup of tea. I personally would like a 3rd person titan game. However aiming is the biggest stickler for me because it's tricky figuring out where you're shots travel since it's not center screen. It's fun to use in SW:BF because it widens your viewable area and allows some corner peaking, but then I end up missing shots or hitting the wall when I forget to factor in where my character shoots from. I like the more cinematic view it offers, but it cuts out immersion. Watching gameplay of VR RE7 made me want to try it out too. Speaking of Hellblade and VR, they just announced that they are releasing a VR version of Hellblade: Senua's Sacrifice free to those who've already purchased the base game. It's my favourite game of all time so I highly recommend you check it out.